Global production outfit Fremantle Media has taken a 25% stake in Duck Soup Films. 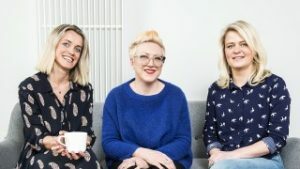 The Leeds-based indie was set up in 2015 by producers Libby Durdy, Bekki Wray-Rogers and Jessica Holyland, who had previously worked on the likes of This Is England and International Emmy winner Utopia. It's the latest investment for Fremantle, whose portfolio also includes Bend It TV, Naked Entertainment, Corona Pictures and 495 Productions. CEO Cecile Frot-Coutaz said that Duck Soup was an "exciting business with three incredibly talented founders at its helm". Since launching, Duck Soup has received BFI funding for its film slate and has also picked up investments from Creative England and Channel 4. Producers Durdy and Wray-Rogers first worked together on 2006’s This is England film and later worked on the TV series together. Head of production Holyland has also worked on the This Is England TV shows as well as with Leeds-based TV production company True North.